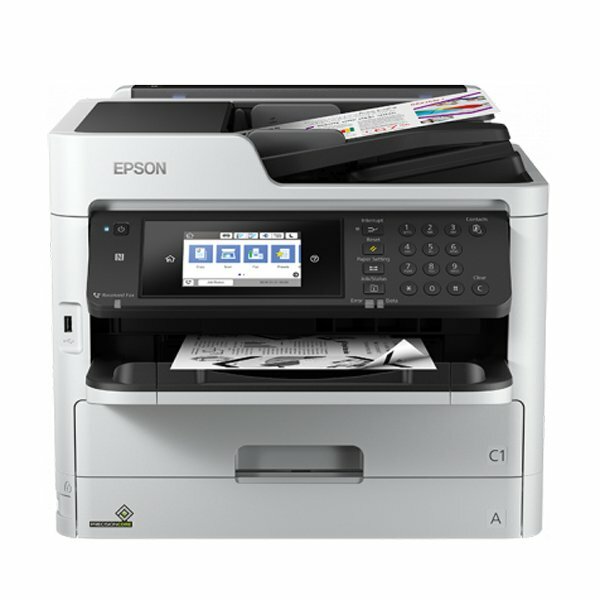 Reduce your business printing costs and environmental impact with this robust mono MFP, and increase productivity with less intervention. Take advantage of low power consumption, a low Total Cost of Ownership (TCO), a fast First Page Out Time (FPOT) and features designed for easy business integration with the new multifunction WorkForce Pro WF-M5799DWF. This business inkjet printer benefits from automatic double-sided printing, scanning, faxing and copying, making any job easy and efficient, and PDL compatibility, including PCL and PostScript 3. Perfect for small workgroups with a high print volume, typically within larger organisations where a robust mono printing solution is demanded. A range of software and tools provide secure print options, efficient scanning and help manage devices remotely. NFC and wireless connectivity also supports printing from mobile devices. And with its smartphone inspired user interface and touchscreen, it’s intuitive to operate. Epson Open Platform and our work with ISVs add extra solutions, such as PaperCut print management software.